When you attend a meeting, how do you choose your seat? Whether you chair or not, where you sit helps to determine your effectiveness and your stature during the meeting. Here are some tips for choosing your seat strategically. As the exchange between Michel and Wilson grew more heated, Nicole began to feel more and more threatened. Sitting as she was, right between them, she was directly in the line of fire. Finally, she could keep silent no more. In a tone she regretted even as she spoke, she said, "Will you two please settle down? If you can't, take it outside!" Nicole might not have been involved at the content level of the discussion, but the placement of her chair meant that she was involved in the conflict. Her discomfort led her to demand an end to the exchange, and although nothing bad happened this time, such interventions can be risky. In meetings, where you sit does influence your participation. Since your seat can even affect your status within the meeting, choose your seat with these 12 strategic goals in mind. 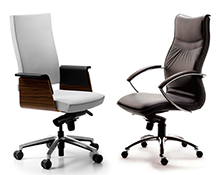 If the room is set in classroom or auditorium style, as chair you have little choice — the front is for you. But if the room has a long table, typically, the chair sits in the "power position" — at one end — even though the power position isn't always so powerful. The effective radius of control of any position is only about 10-15 feet (3-5 meters). If the table is longer than that, or if attendees will be discussing issues, the chair should sit in the middle of one side of the long table, for better control. Sitting near the center of action of the meeting gives you an advantage if you want to contribute or influence the flow of the meeting. If you aren't a key contributor, and if you want to stay out of the action, choose a corner. If you expect hostile or tense exchanges with someone, choose a nearby seat, preferably to the person's right. Sitting in easy line of sight can invite confrontation, especially if both of you are male. Sitting side-by-side is less threatening and can even be friendly. If you anticipate that two other attendees might engage in a heated exchange, put some space between you and them. Avoid sitting in the line of fire, and avoid sitting near either one, unless you want to express your feelings of allegiance to one party. This is Part I of a two-part article. See "Take Any Seat: II," Point Lookout for June 2, 2004, for more. Would you like to see your comments posted here? rbrenNAUsCWiYHeoAdvAKner@ChacVpsqwvxUdfQYIPzeoCanyon.comSend me your comments by email, or by Web form. Most knowledge workers are problem solvers. We work towards goals. We anticipate problems as best we can, and when problems appear, we solve them. But our focus on anticipating problems can become a problem in itself — at work and in Life. I offer email and telephone coaching at both corporate and individual rates. Contact Rick for details at rbrenZSSAKuFJddqRVAiHner@ChacleCPEoJLnBWUcukDoCanyon.com or (650) 787-6475, or toll-free in the continental US at (866) 378-5470.